We offer inspection, preventative maintenance, and septic repair services in Orlando, FL to ensure your system is always running as it should. 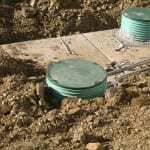 Septic Repair in Orlando – Though you may not often consider it, there are many things that can go wrong with septic tank systems. Old, overused, or neglected systems can cause serious problems down the road for homeowners. If your system has not been pumped, inspected, or repaired in some time, it may be time for a septic service. Here at Clark Septic, we offer inspection, preventative maintenance, and septic repair services to ensure your system is always running as it should. If you can’t remember the last time your system had any form of maintenance, give us a call today to evaluate the best options for you. With septic systems, preventative maintenance is always best. This includes routine inspections, tests, pumping services, etc. Sometimes, however, a repair is necessary. When this happens, it is important to catch it early and get the problem fixed correctly the first time. By catching and fixing a problem early, you are saving yourself time, money, and headaches. If you suspect a problem with your system, call us immediately. At Clark Septic, we offer free estimates and reliable, professional service. Each of our technicians is qualified to properly identify your problem and get your system ready for repairs. When a septic repair service is performed by any provider, it is important that they get the repair done right the first time. A septic repair service not done correctly could lead to expensive and time-consuming damages. That is why choosing the best service provider is important. Here at Clark Septic, we believe that if you have a mess, we’re the best! We have over a decade of experience in the Orlando, FL, area with many satisfied customers. 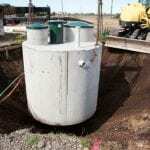 We hope you will look to us for all your septic installation, service, and repair needs. We serve Central Florida, including Orlando, Winter Park, Ocoee, Altamonte Springs & surrounding areas. At Clark Septic, we offer high-quality septic repair services in Orlando, Altamonte Springs, Deltona, Ocoee, Pine Hills, Winter Park, and Winter Springs, Florida.